Why push open slide has short ejection distance, or unable to perform push open function? The Push Open Slide will not function properly if the side space (clearance) is out of the specified tolerance. Please refer to product information on Furniture Kitchen Accessory Page. How do I resolve the noise for the push open slide? First check slide middle and outer member are installed leveled and aligned against the cabinet wall. When the slide is not properly installed, the noise may result from mechanism interference, thus shorten the slide ejection distance. Why cabinet door is unable to close properly? First identify the cabinet door thickness of the hinge application; the standard hinge door thickness is in between 16mm-18mm. For cabinet with door thickness greater than 18mm, 9256 will become the suitable hinge to use as it supports up to door thickness of 30mm. Ensure the hinge base plates are leveled and aligned. 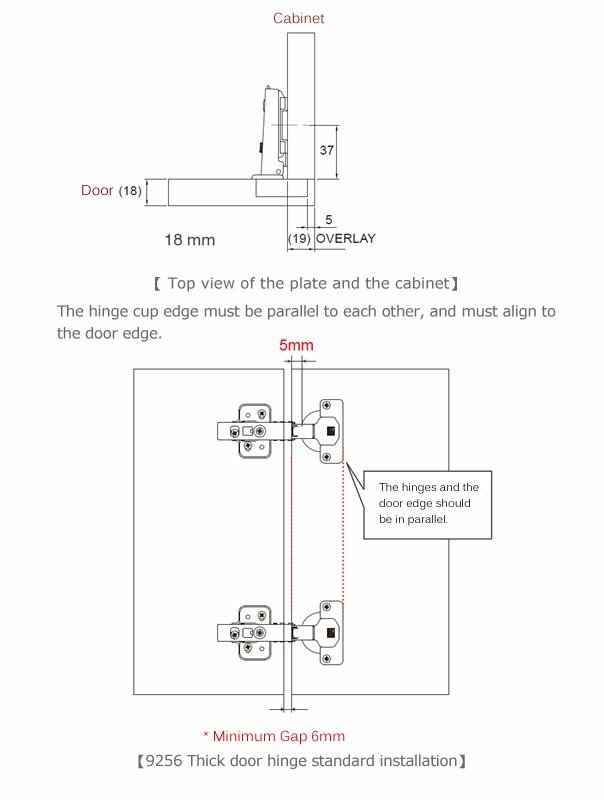 The standard distance from the center of hinge base plate to the edge of the cabinet wall should be 37mm. Why 9255 face framed soft closing hinges tend to close more slowly? Different size and weight of the cabinet door affects the door closing speed, King Slide 9255 face framed soft closing hinges features 3 steps closing speed adjustment, which allows cabinet door closing to have consistency even for different weight and size doors.